Vinyl floors were first invented in the 1930s and entered mainstream use in the 50’s, where it has long been associated with scratches, scuffs, and cheap plastic. However, this perception has been challenged and is rapidly changing in recent years thanks to developments in design and manufacturing. 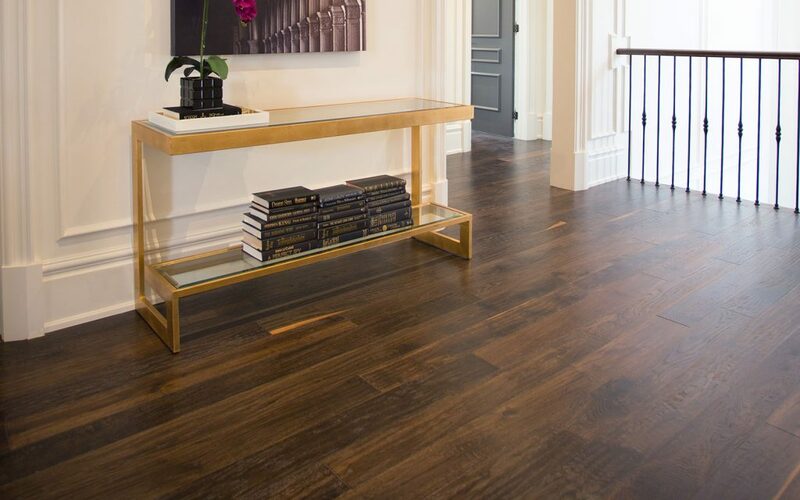 Nowadays, Vaughan vinyl flooring has been enjoying a return to vogue as more and more homeowners and businesses are discovering the material’s stylish and affordable advantages. Take a look below to see the secrets behind vinyl’s rising star. Laying wood planks in your bathroom is just asking for trouble and tiling your living room in ceramic will garner plenty of odd looks. In contrast, vinyl is remarkably versatile and can be safely employed in any part of the house. Homeowners who use vinyl flooring in Vaughan know that the material is 100% waterproof, which makes it excellent for kitchens, bathrooms, and any other rooms where the floor is likely to get wet. The inner core of a vinyl tile is well insulated and effective in extreme temperatures, allowing it to serve effectively in a variety of hot and cold climates. The variety of designs and colours available also mean that vinyl is effective for both residential and commercial establishments. Lastly, vinyl floors come with a selection of different finishes that can be chosen to adapt it to a variety of traffic and pressure conditions, making vinyl ideal for supporting heavy furniture or high-volume travel. Part of why vinyl is so flexible is how easily tiles can be made to look like other materials. Detailed wood grain, smooth marble, and carved stone are just a few of the high-end flooring types that vinyl tile can mimic. This versatility means home and business owners can enjoy luxury style at reasonable prices and it also allows interior designs to be realized that would be too costly otherwise. Wooden floors in a kitchen or bathroom would be far too expensive to keep maintained—but vinyl flooring with a wood finish is much more flexible and significantly easier on the pocketbook. Additionally, printed vinyl is extremely DIY-friendly, which means flooring contractors aren’t mandatory and you can save on installation if you feel handy. Vinyl is not likely the first word to come to mind when you think “Eco-friendliness” but the modern version is greener than initial impressions suggest. 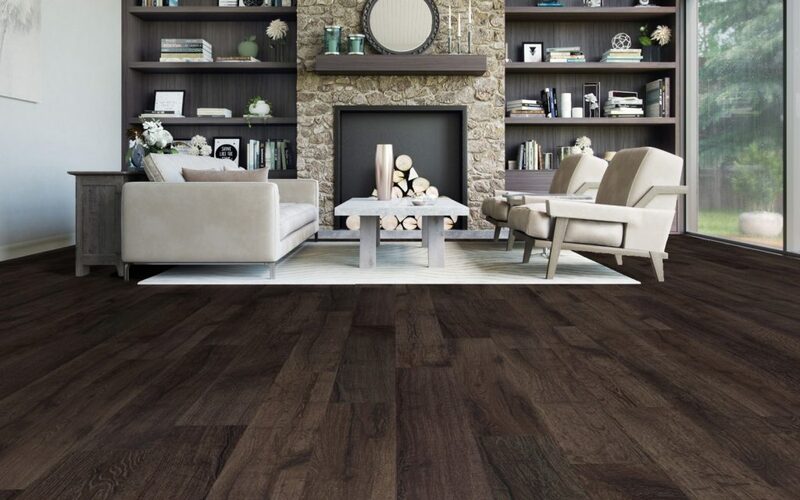 Remember that one of vinyl’s top strengths is its ability to mimic the appearance of other materials, so you can enjoy top-quality wooden floors without having to cut down extra trees. Vinyl floors in Vaughan are easy to clean with just elbow grease and don’t require harsh or polluting chemical solutions as part of their regular maintenance. Vinyl is also remarkably durable and allows homeowners to save resources that would have otherwise gone to replacing or refurbishing tiles. Lastly, a number of vinyl manufacturers enjoy the LEED credit for Low-Emitting Material, meaning they aggressively pursue minimal volatile organic compounds that could otherwise compromise air quality.